While I muddle through the empty nest stage of life with its changes and emotions, my hope is to encourage my readers through my experiences. Even though my nest is empty, I find my heart is full. More often than not you can find me tapping away on my computer writing words that seem to pour out of my soul or wandering around the countryside with my camera held up to my eye. I'm just an amateur photographer but I absolutely love being behind my camera lens capturing whatever appeals to me. I do strive to use my own photographs to accompany my writing and my hope is that readers enjoy my pictures as much as I do. God imparts His Word to me through everyday occurrences or images and I write often about what He has laid on my heart via thoughts or photos always using scripture as a basis. 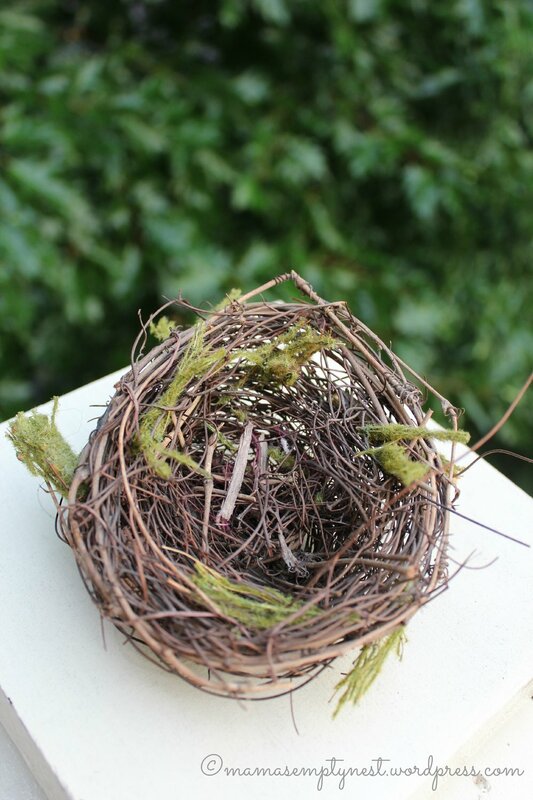 Mama's Empty Nest submitted by Cindy Metz.